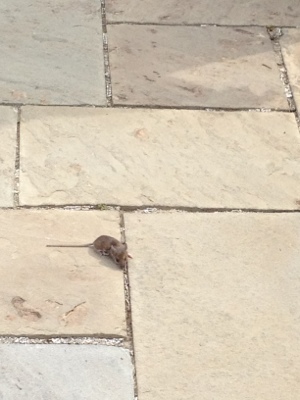 We’re thinking this mouse found some crack or another nefarious drug to make it chase its tail. It looked like a wind up toy! Laughing until it came after kids toes. Perhaps it escaped a research facility!